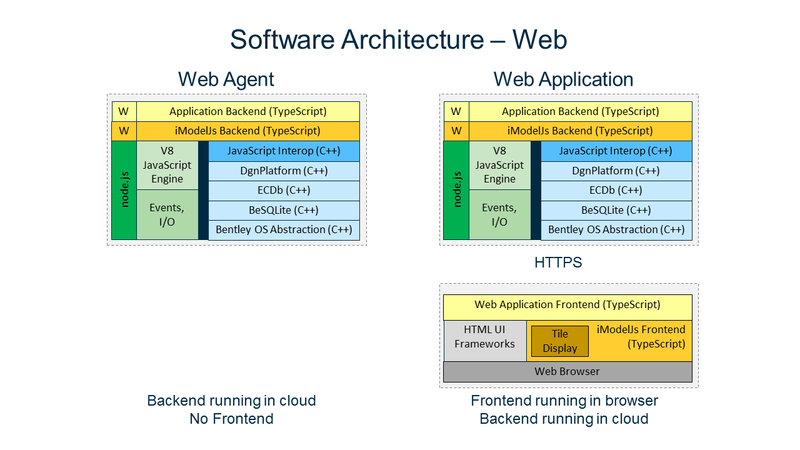 Notice that the backend architecture is identical between Agents and interactive Web Applications. Web App frontends run in a web browser and use HTML GUI for presentation and APIs exposed from the @bentley/imodeljs-frontend package for Remote Procedure Calls (RPC) into functionality implemented on the backend. The frontend --> backend communication is over HTTPS for interactive web applications. iModel.js desktop applications use the Electron Framework. 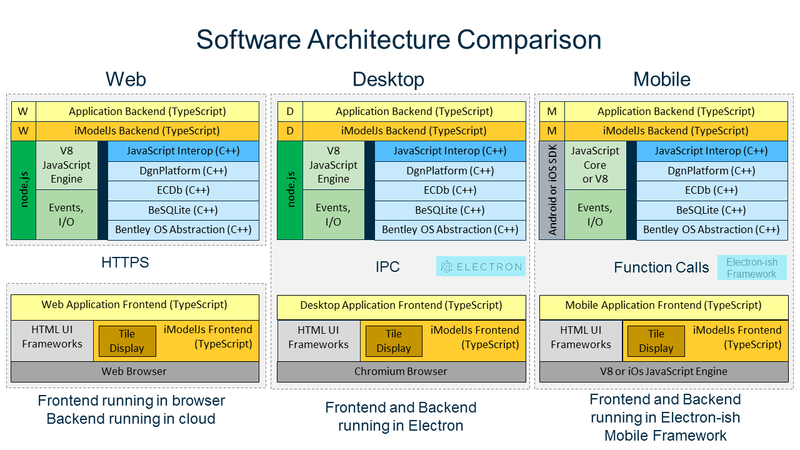 The backend architecture is the same as with iModel.js Web Apps because Electron also uses Node.js. The only difference in the frontend architecture is that an embedded Chromium Browser replaces a standalone Web Browser. 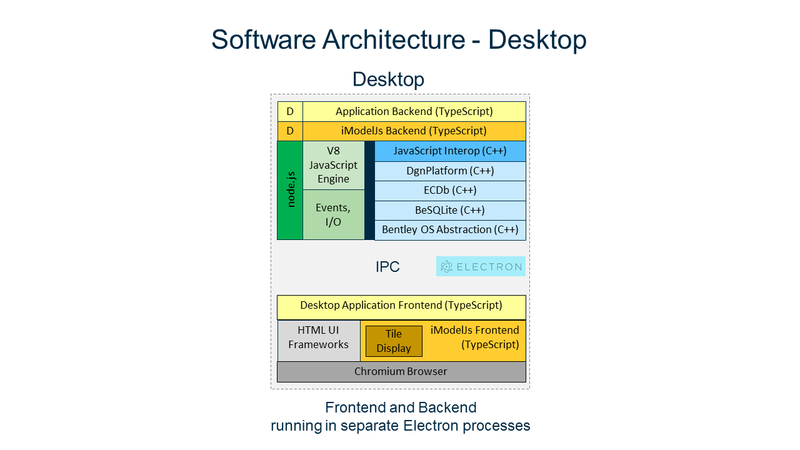 The frontend --> backend communication is over Inter Process Communication (IPC) as provided by Electron. 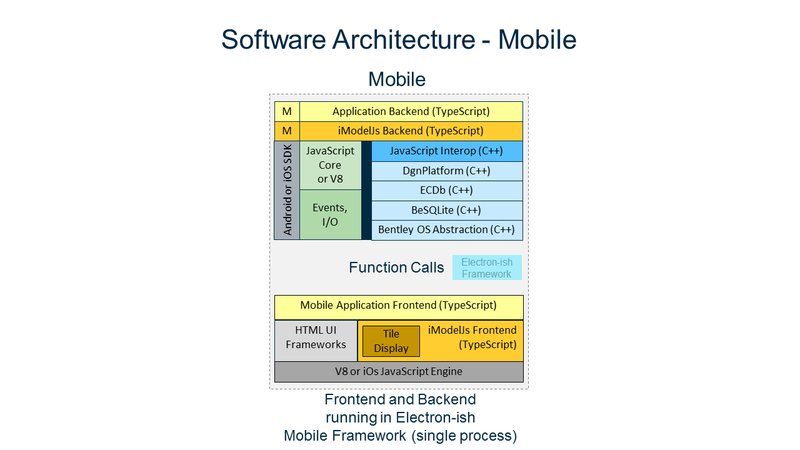 The following diagram compares the architecture of web, desktop, and mobile applications and shows how the goals of portability and reuse are accomplished.